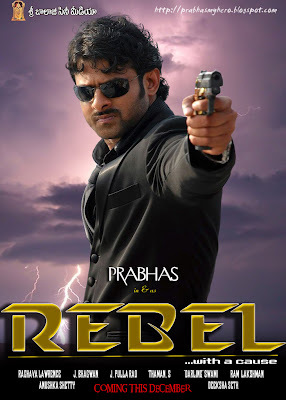 Hyderabad is sprucing up for the shoot of hero Prabhas’ most looked-for movie of the year – Rebel. It will commence on June 27 and the flick is set for December-release. Directed by Raghava Lawrence, the movie offers on platter comedy, sentiment, romance, action and other commercial elements. Produced by J Bhagawan amd J Pulla Rao under Sri Balajai Cine Media banner, the film has Anushka romancing the young rebel star yet again after Billa. Deeksha Seth is playing the second female lead.